It’s October 1st – New Bike Laws Become Effective Today! 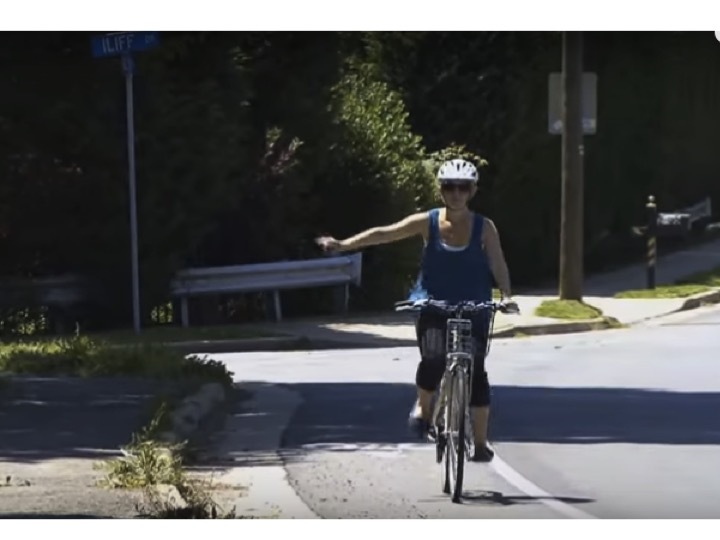 BWNC was disappointed that the final version removed the provision directing NCDOT to develop a safety education program for motorists and bicyclists. The removal likely happened because the timelines were too tight and there was no new funding. However NCDOT has committed to working with BWNC to develop a comprehensive motorist and bicyclist education program. The education program could help both motorists and bicyclists understand the rules of the road, thereby reducing conflicts. 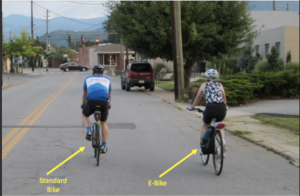 BWNC is also thankful for NCDOT’s assistance in adding a definition of electric assisted bicycles to the bill so that e-bikes would not be classified under motorcycle laws. BWNC worked closely with NCDOT’s Division of Motor Vehicles and with House and Senate Transportation Leaders – Representatives Torbett, Iler and Shepard and with Senators Rabon and McKissick. Without the electric assisted bicycle definition and exemption from motorcycle laws, “e-bikes” would have been categorized as motorcycles and subject to all those rules and requirements. We believe that without this definition and exemption, “e-bikes” would not be able to be used on our roads, as they could not meet all the specifications of motorcycles. People for Bikes provided expertise from a national perspective and helped answer many questions about this still evolving technology. What is the minimum distance a motorist must allow when passing a cyclist in a non no passing area? Two feet: The law was written years ago and was really related to a motor vehicle passing a motor vehicle – so it is only two feet. We do not have bicycle-specific passing distance other than in HB959. We are hoping that this new law that references a four foot passing distance or changing lanes to pass will be the foundation for future changes to a bicyclist-specific passing law.